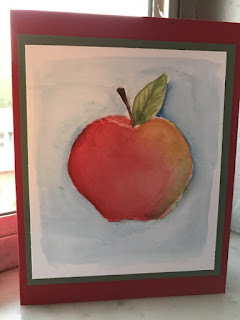 I've been playing around with drawing and watercolor - oddly enough, with fruit images. 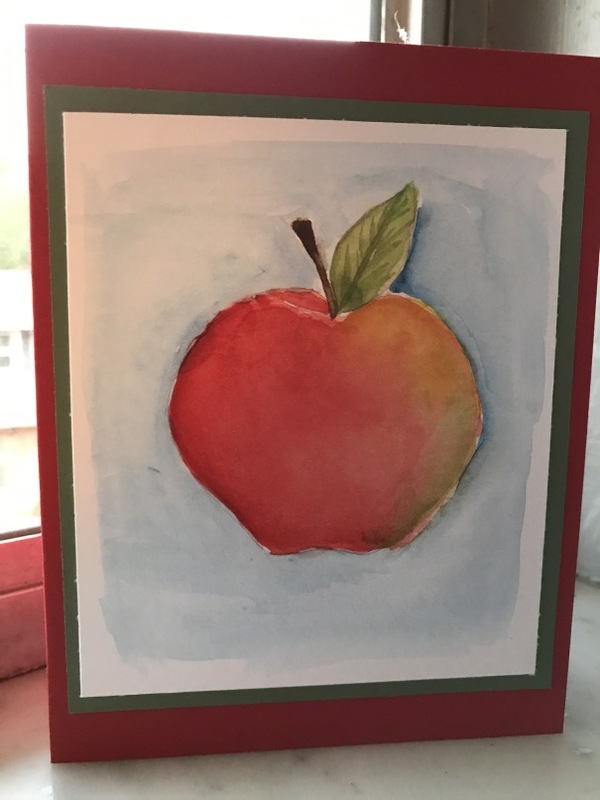 While we were in Pittsburgh at the end of August, I worked on some art while Steve rode his bike in an event. The front panel and cards below it were a product of that time. 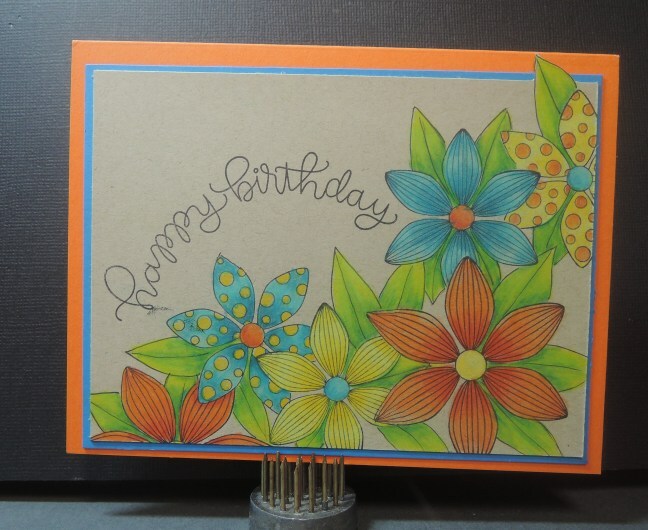 The flowers on the card were stamped using stamps I received from my mother's cousin, who used to stamp, but doesn't any longer. I drew in the leaves to fill out the design. 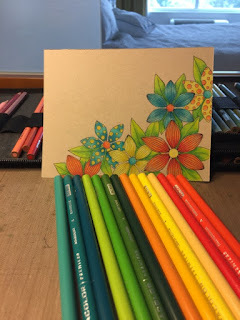 The paper is Nennah Desert Storm, and I colored the images with prismacolor pencils. I like how it turned out. 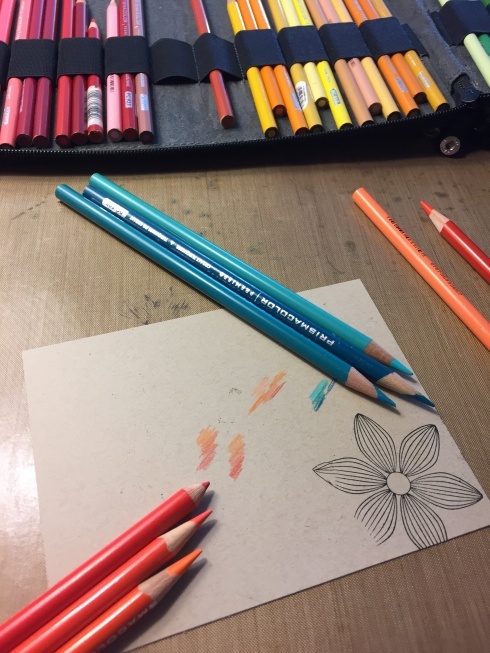 Prismacolor pencils look different on kraft cardstock - trying out different combinations. 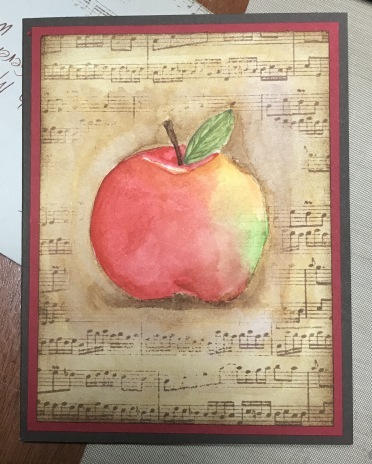 Our son's birthday was at the end of August. When he was growing up - when he was learning to talk - he would point to jelly beans on the counter, and say, "Bean." Joshie Bean became his nickname among the family - really only among his parents. For his 21st birthday, I used the Lawn Fawn How You Bean? set to create his cards. 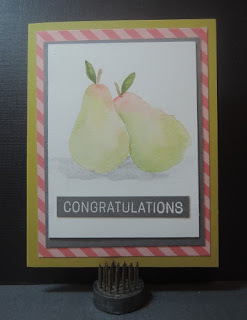 I made a series of four cards, and on each one, the jar was more full of jelly beans, until it was overflowing. 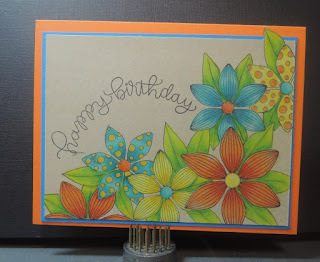 I mailed a card to him each day, so that they arrived gradually, up to his birthday. One of the ways I express my creativity is through Bullet Journalling. I've mentioned that before. There are so many (so so many) people in the blogging, pinteresting, youtubing world who are "doing" bullet journalling, and sharing their work, that it seems redundant for me to do so here. But... here I go, anyway. Over the next few weeks, among my other posts, I'll share a few of my regular layout styles - what they are, why I use them, etc. This is a weekly layout. I do one of these pages on Saturday evening, in preparation for the week. On the top half of the page, I list each day of the week with a column for schedule and a column for deadlines. The schedule side are events that I need to remember; the deadline side includes items I need to remember to do by that day. 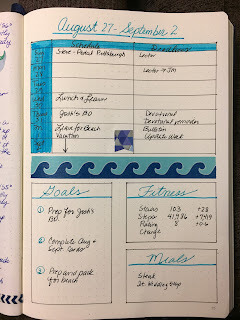 On the bottom of the page, I list three goals for the week, I track fitness (steps, stairs, a personal rating of my food tracking and weight change for the week), and I list potential meals based on the groceries in the house. 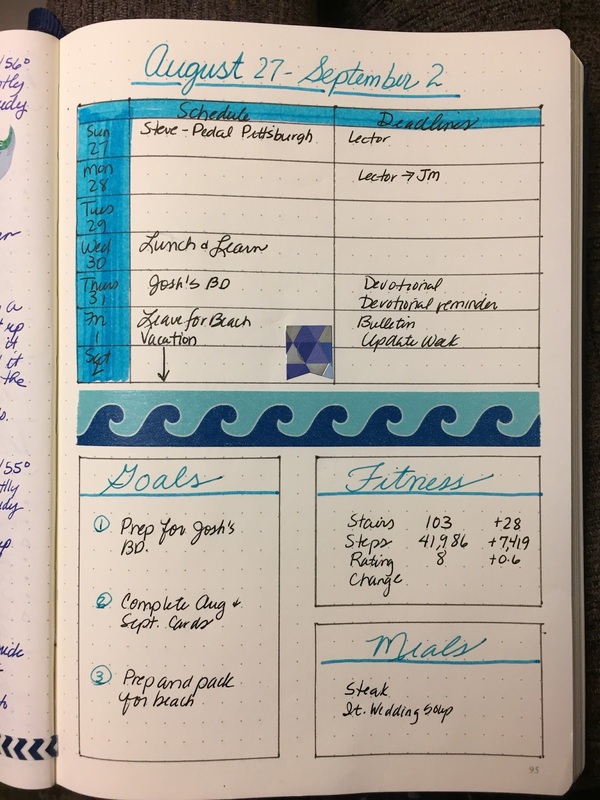 This layout helps me to see the week all on one page. It isn't my To Do list, and it doesn't serve to record what I HAVE done that week - it is only a look at the week before it happens. This layout developed over time, but at this point, I think it serves me well.